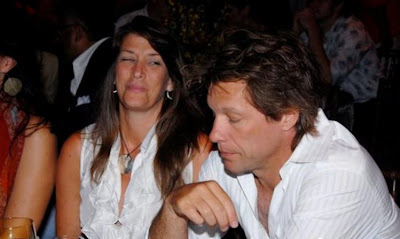 Jon Bon Jovi and his wife, Dorethea, are wicked good helpers and stuff. They were both at the “Music for Mercy Corps Hamptons Benefit for Darfur” in the Hamptons over the weekend. Wait, Darfur is a real place? I always thought it was like some location in one of those irritating Harry Potter books or like the North Pole or something?! I’m joking. Darfur is real and those people desperately need our help (I think). Anyway, a bunch of celebrities and non celebrities were at the charity event to show their support as well, like Jill Zarin from The Real Housewives of New York City, Sarah Silverman, Chef Rocco DiSpirito, and, um, that’s about it. Wow, that’s pitiful. 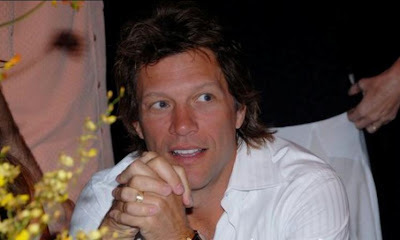 You know Bon Jovi totally donated the most then.